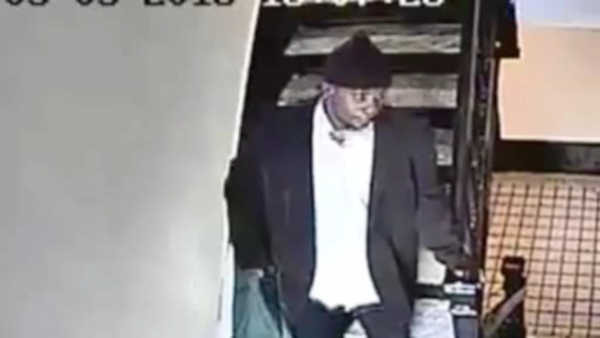 CROWN HEIGHTS, Brooklyn (WABC) -- Police says the man who tried to shoot a woman in Brooklyn right in front of her children earlier this month has been arrested in Pennsylvania. Authorities say 38-year-old Casanova Holmes was taken into custody in a Bartonsville hotel room Friday by members of the New York/New Jersey Regional Fugitive Task Force and the NYPD. Holmes was allegedly targeting his ex-girlfriend -- a 911 dispatcher -- stalking her and threatening her and her family. Police say that on March 5, he went to the Crown Heights apartment building of her aunt, who is a federal corrections officer. It is alleged that Holmes first spotted the aunt's niece in the building's stairwell and opened fire, but his gun jammed. The niece ran into the aunt's apartment with her son. Police say Holmes then fired eight shots into her apartment door, but no one was struck. The suspect then fled the scene. The ex-girlfriend did not live at the apartment building.